The next major update for Plague Inc. is now LIVE on iOS! To celebrate winning The Queen’s Enterprise Award for Innovation, this extra special Mutation comes with two very different official scenarios to play through, as well as a complete graphical overhaul! Discover all about Mutation 16 below! 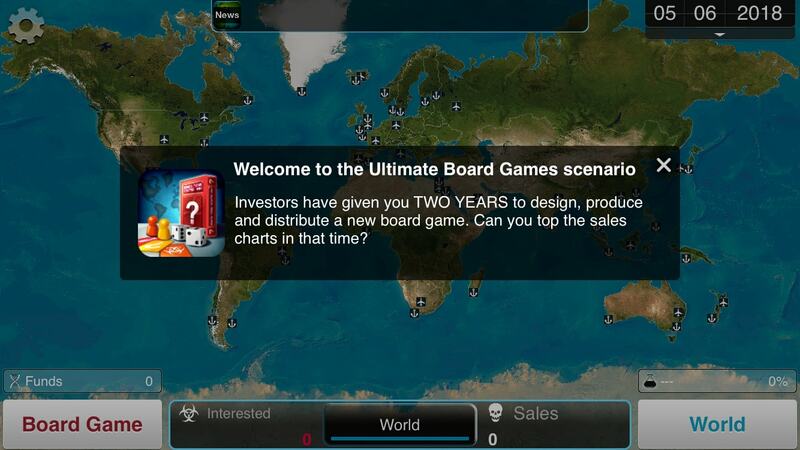 Make a best-selling board game in this radically different scenario that has nothing to do with disease! Investors have given you two years to design, produce and distribute your very own game. Can your cat-themed Scrabble/Risk hybrid outsell Monopoly? 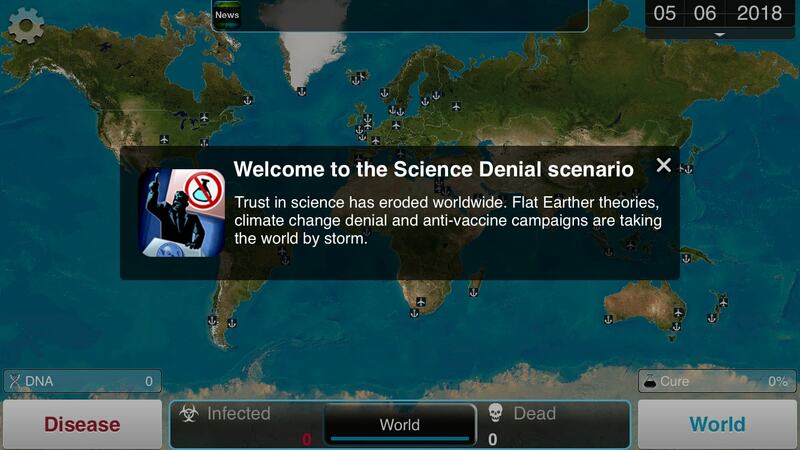 People around the world have stopped believing in science, medicine and even diseases. One country decides to offer scientists sanctuary and from here they hope to save humanity from itself! Can you wipe them out in time? It’s taking longer than expected to get these UI changes working correctly across the full gamut of Android devices, but rest assured we’re working hard on getting this update ready for all our Android-owning players as soon as possible. PC players will also get the update soon in Plague Inc: Evolved (although you lot already have a shiny UI!). 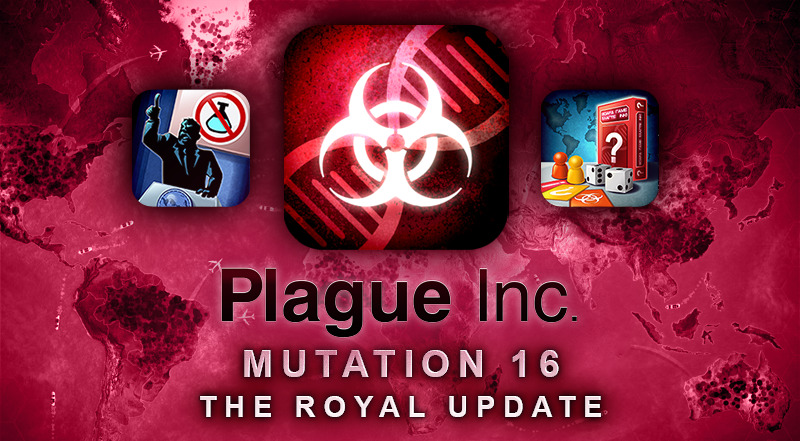 Plague Inc. Mutation 16 Preview - The Royal Update is coming!